Whenever anything is made, there is always the possibility of improvement. This goes for just about any field, whether it is commercial, academic, or even relating to personal matters. 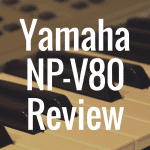 Such is also the case when it comes to an 88 key digital piano, and Korg, just like any other quality piano manufacturer, has aimed to do just this with their LP series. In fact, when it comes to the LP Series, the Korg LP 380 has established itself as a stalwart and certainly one of the better models to be sought after. It most definitely is a step up from its predecessor, the LP 180, bringing a number of new features, technology and other nuances to the table. Below, you can compare the affordable Korg LP 380 to some of the best pianos in its class based on things like weight, price, and customer reviews. I really like the style and look of the LP 380. It is a sleek and slender machine that will look pretty in almost any setting. Truthfully, as I look at this machine I can almost imagine myself walking into the music store and buying the machine simply based off of its looks alone. I really love the icy white finish, which gives the piano a wonderfully exquisite and elegant look. The piano comes with a nice folding top-down cover that sets easily over the keys, providing a great option for piano protection and a wonderful aesthetic look. The three pedal unit is a welcome sight for those looking to add more of the acoustic grand piano experience to the digital setting, as the unit makes way for a soft, sostenuto, and sustain pedal attached to the base boarding of the piano. 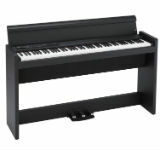 The specifications of the piano are quite standard for a quality digital piano. The LP 380 measures out just over 53 inches long, almost 14 inches deep, and almost 30.5 inches off the ground with the piano stand. And when you take into account the piano cover, the LP 380 stands at almost 37 inches off the ground. For its dimensions and size, a weight of 81.5 pounds is a little bit on the heavy side, but it comes understood that most people looking for a piano of this kind are not searching for characteristics such as portability. The Korg LP 380 has a great selection of voices and tones to choose from. There are 30 voices housed on the machine, all of them being stored in 3 different banks with correspondent button choices. The LP 380 comes with five different acoustic piano sounds, an electric grand sound, six amazing electric piano sounds, harpsichord, clavichord, jazz organs, pipe organs, strings and a choir. 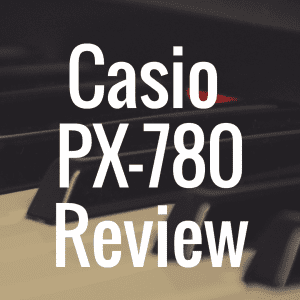 This, for many consumers of digital pianos in this range, is an amazing selection, as most pianos like this only come with ten sounds. Amazingly the piano comes with an accompanying 30 demo songs – 10 of them being songs which demo ten of the major sounds on the machine, the other 20 being piano demos showcasing what the piano can do as a whole. The Korg LP 380 has a bevy of engineering features that make it a strong piano. The machine is set with Korg’s Stereo Piano System, a decent system which can be comparable to Roland’s SuperNATURAL piano engine or Casio’s Acoustic and Intelligent Resonator (AiR) system. The machine also is set with 120 voices of polyphony, which when compared with many other options on the market turns out to be a very viable option. Most competent pianos have about this much, with the super high end pianos housing around 256 notes of polyphony, and the low end options having around 48. The engineers at Korg also chose to make an upgrade in the key action system from the LP 180, putting the Real Weighted Hammer Action (RH3) system in this model. 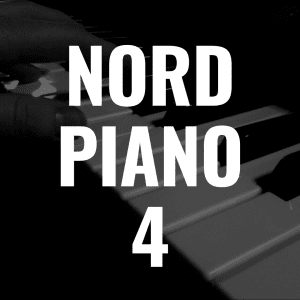 The RH3 is a quite noticeable change, especially when you put your hands to the piano, feeling the exquisite weight handled in each key. It is also the third generation in the graded hammer action of this series, so you can certainly expect the best of what the engineers have to offer. In addition to the key action is the wonderful Touch Selection system, which allows the user to control whether the piano plays in Light, Normal, or Heavy mode. This is a wonderful feature that will allow any piano player to adjust for any particular setting. The Korg LP 380 comes with its own distinct set of key features. The first feature is in relation to the model’s weight and body structure, with the engineers reducing the chassis size and weight of the model in comparison the previous one, the LP 350. The entire machine has been reduced by about 12 pounds, making it a little bit easier to put together and move from place to place. The piano also comes with a nice Line Out stereo mini jack, which makes it pretty smooth and simple to connect to an amplified speaker system or to any studio recording setting. The machine is up to date also on its connectivity options with MIDI supported system, which will allow the machine to connect to other devices and transport performance data through a universally recognized medium. 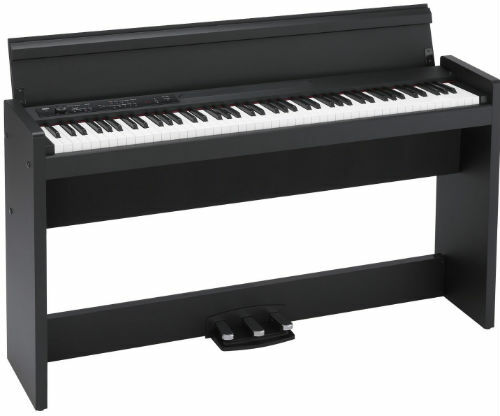 The Korg LP 380 can easily be compared to a number of digital pianos. Three suitable pianos for the job would be the Korg LP 180, the Korg LP 350, and the Roland F-120. When comparing to the LP 180, it is easy to see the large number of improvements that have been made from the 180 to the 380, starting with the engineering onboard. The 180 only has the Natural Weighted Hammer Action (NH) system, while the LP 380 is complete with the latest Real Weighted Hammer Action (RH3) system. There is a considerable difference between the two, and it only takes one sit down with each machine to recognize it. Both machines use the same sound generation with the Stereo Sampling system, and also have the same notes of polyphony in 120. They both also have a full 88 key range and dual headphone jack capability, which is great for student teacher or duet sessions. When comparing the LP 380 with the LP 350, there is no significant difference in size between the two models. The first difference that is evident, however, is the effort the engineers have placed in trying to remove some weight from the chassis of the earlier model, the 350. As mentioned before, they achieved their goal by shaving off about 12 pounds, while not having to sacrifice much quality or engineering. Both models have the nice three pedal units supplied by Korg, fully equipped with all three soft, sostenuto, and sustain pedals, and they both come with the same amount of voices and tones, with 30. In truth, when deciding between these two models, you will get much of the same, but the deciding factor will be body build and price at the end of the day. The comparison of the Korg LP 380 with the Roland F-120 seems like it would be a pretty fair competition, but at the end we see the LP 380 pulling away easily. The F-120 comes to the table with many of the basic features and technology available, with the Ivory Feel-G keyboard (with Progressive Hammer Action) and the SuperNATURAL Piano sound engine. The main similarities between the two models would be the stylish look, feel and cabinet finish shared by both exquisite models. The LP 380 has many more options to choose from than just the black and white, adding on a Red, Rosewood, and a Black/Red finish. In my opinion, if it came down to the two, I would have to go with the Korg LP 380. 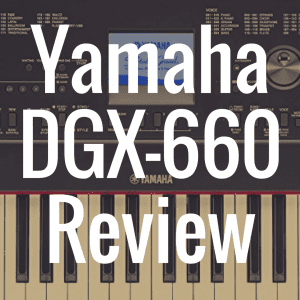 For many more digital piano reviews, please be sure to bookmark our homepage and return often. 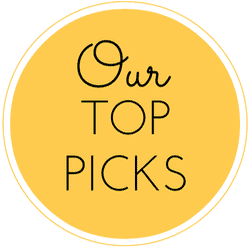 We can’t wait to help you next time! 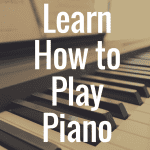 I Want to Learn How to Play the Piano: Where Do I Begin?